← Have you lost some keys? I’m going to share here an absolutely astounding image donated by Brownhills Local History researcher in exile Gerald Reece, which is sure to create some debate. I’m going to be brief, as I feel it’s best. Remember the surge stack, subject of intense debate, and rediscovered thanks to David Moore and Chris Pattison? This 100ft stack was a pressure relief ventilator for the South Staffordshire Water main between Lichfield and the Black Country, and sat at the highest point of the pipe. When it was demolished is hotly disputed. Image posted by Dave Moore on Flickr. When it was demolished has been the subject of much debate. Yesterday, Gerald Reece sent me the following image he found in his collection, which he thinks (and I’m inclined to agree) is from the mid-1960s. 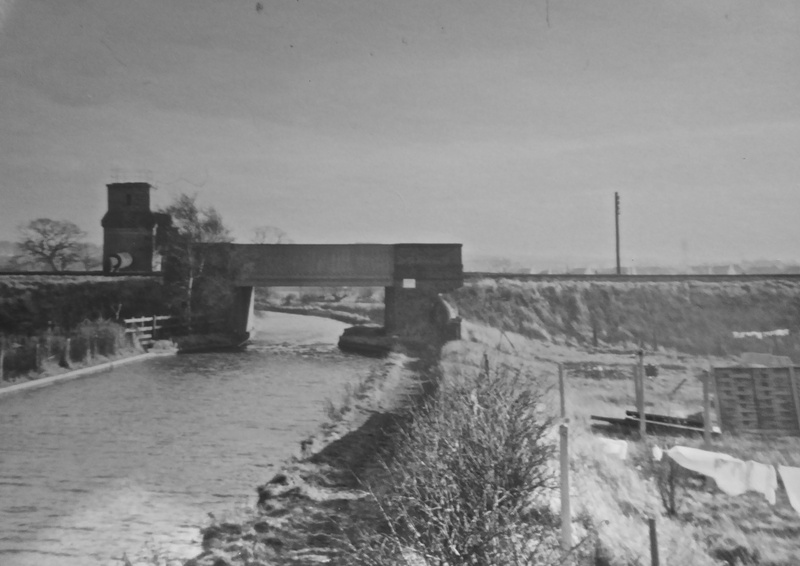 A truncated surge stack, viewed possibly from the Pelsall Road or embankment nearby. Note the pipe linking it to the main. Image very kindly supplied by Gerald Reece. The key to the age of the photo is the fence panels, right, and the date of the housing next to the canal here – I’d say those panels are fairly modern. I have only gone as far as the 1951 1:25,000 map so far, but no houses marked there then. If you look carefully, you can just see scaffold around the top of the tower. This entry was posted in Brownhills stuff, Clayhanger stuff, Environment, Events, Followups, Interesting photos, Local Blogs, Local History, Local media, News, Reader enquiries, Shared media, Shared memories, Spotted whilst browsing the web, Walsall community and tagged Brownhills, Brownhills local history, Canal, Chris Pattison, Clayhanger, Company, Dave Moore, Derelict, Gerald Reece, Lichfield, local blogs, Local History, Morturn, New Photos, Old maps, Pedro, Pumping, Reservoir, Sandfields, Shire Oak, South Staffordshire, Staffordshire, Station, surge stack, Things to do, ventilator, Walsall, Water, Water tower, Waterwoks. Bookmark the permalink. I recently found a reference to its demolition taking place in 1973, but that may have referred to the already truncated stack of course. I notice a ghostly silhouette on the horizon a little to the right of the telegraph pole on the second photograph could this be a chimney at Walsall wood colliery? If so when were the chimneys at the mine demolished ? It looks like the houses have just been built on the right hand side of the picture. The washing is on the line, and the gardens are being sorted out. Looks like they had got this chap on the Job. The connection to the railway main can clearly be seen at the front of the truncated stack. It is lagged to prevent frost damage. Also there seems to be an appendage on the right of the structure, or is this an object in the background?